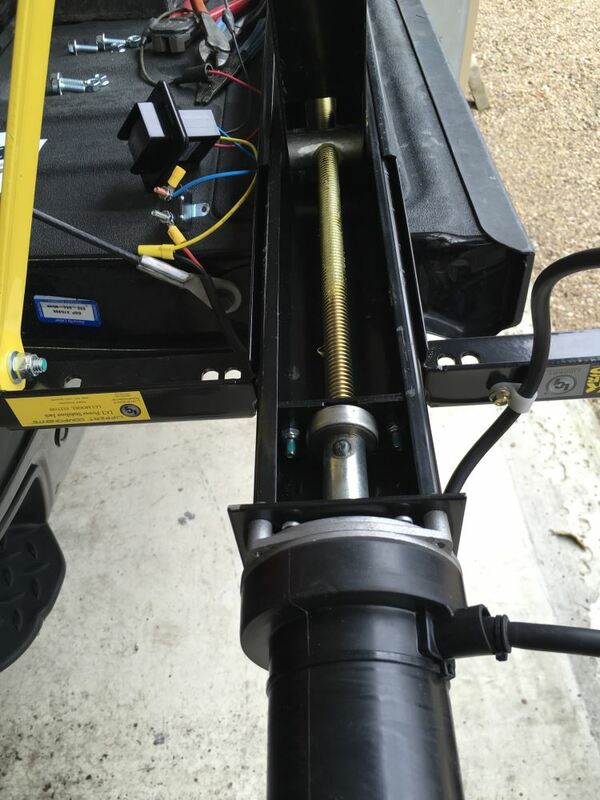 Power Stabilizer Jacks are an affordable way to upgrade power leveling and easily bolt onto your existing frame. New motor is 2x faster than previous versions. Durable steel construction with a powder coat finish to resist corrosion. 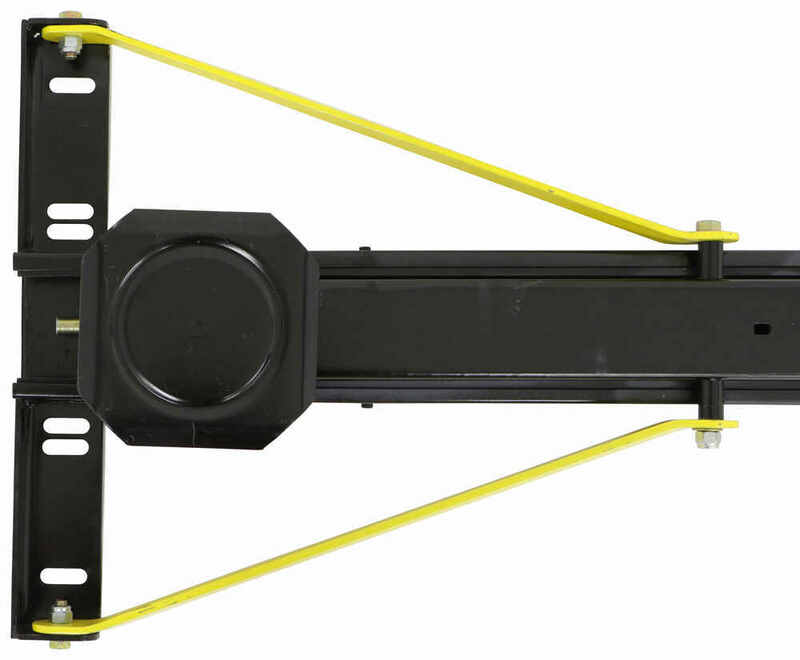 Call 800-298-8924 to order Lippert Components camper jack part number LC337199 or order online at etrailer.com. Free expert support on all Lippert Components products. 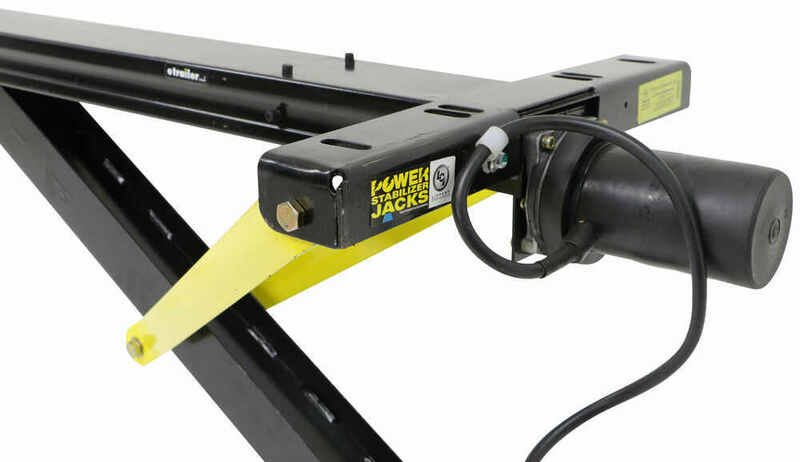 Guaranteed Lowest Price and Fastest Shipping for Lippert Components High-Speed Power Stabilizer Jack - 30" Lift. Camper Jack reviews from real customers. 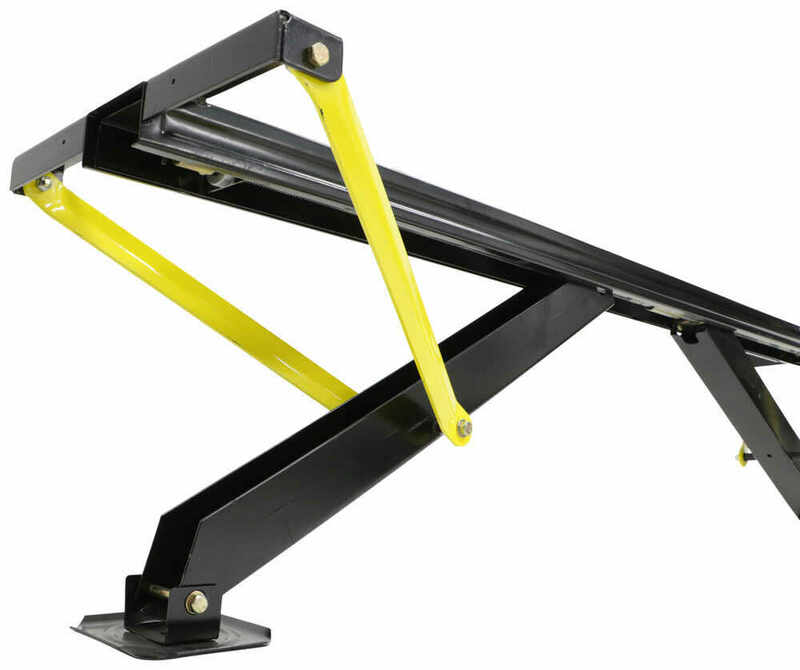 These scissor jacks with a 12,000-lb combined capacity will help keep your trailer or RV stable. They adjust from 4-1/4" up to 30" as needed. 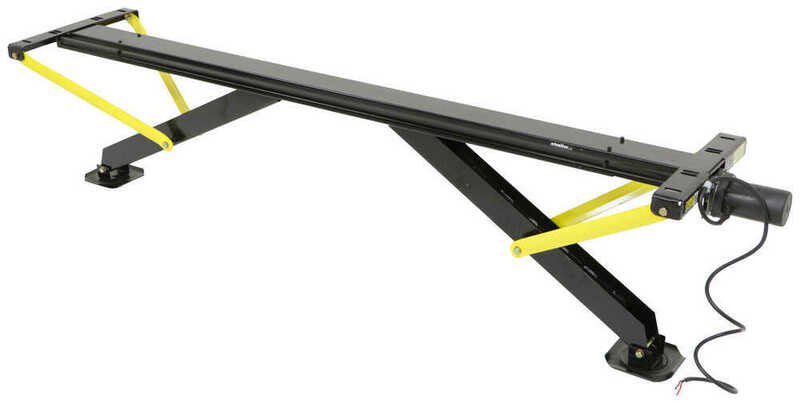 The bow-tie bases steady the jacks on soft surfaces. Includes handle. It's never been easier to stabilize, help level and help raise your travel or 5th-wheel trailer. This electric stabilizer spans the width of your rig for maximum support and has dual, 12V motors that function independently for simple leveling. Speaker 1: Today we're going to be taking a look at the Lippert Components Line of High-Speed Power Stabilizer Jacks. Each one offers a total of 30" of travel. 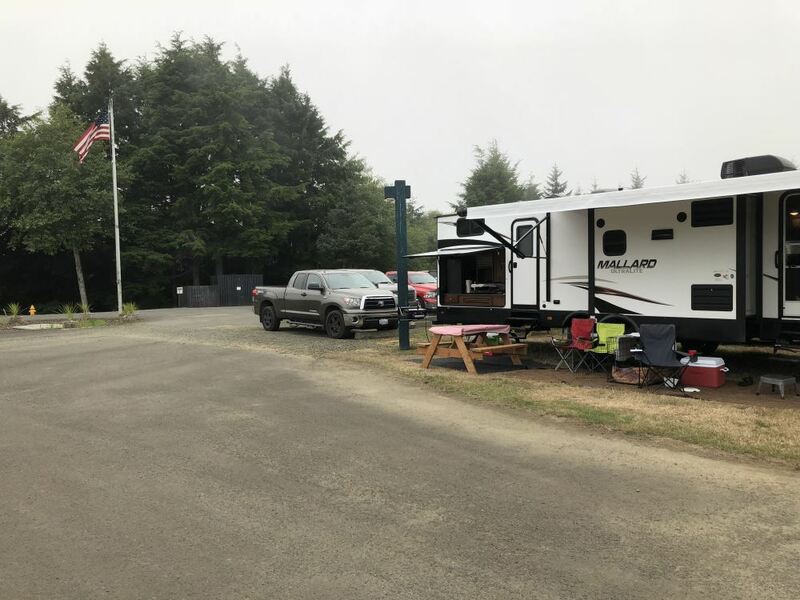 Now, the Power Stabilizer System has been designed to help out a lot when it comes time to set up your RV at the camp site. You know if you've done it before there's several steps that you go through. The first is getting your RV leveled front to back and side to side. The next step is then stabilizing it, so when we are walking around inside of it it's not rocking back and forth, we're not disturbing anybody sleeping, and things like that.Now, generally what that's going to require is for you to go to each corner, get out your crank, crank them down, kind of go around a couple times make sure everything's secure. Lippert's designed this to kind of eliminate that process. Basically, now all we have to do is go to that corner, find our switch, press the switch, and our arms are going to come down at the same time. They work independently of one another. They're on a single screw, but even if one side needs to be up a little bit higher than the other, as they both make contact even on uneven surface, it gives us a nice steady and smooth stabilization so we're going to have the same force pushing down on each side.Now, based on our customer reviews, even on an uneven terrain, as these make contact and they spread that force out evenly, they do a great job of stabilizing the camper. So, even as people are moving around inside, it's not felt all the way up front if you're moving around in the back or vice versa.Now, we basically have three models to choose from with the Power Stabilizer. We're going to have one that doesn't come with a switch at all. That's basically designed to use in already existing switch or maybe you just want to replace it. You drove off and they we're still down, dented, or something. You just need to replace the system. That part number is LC337199.The next model that we have comes with a black waterproof switch. You can see it's got the hood all the way around it, an extend and a retract. Now, they planned for this, somebody that doesn't already have a system like this installed. So they're also going to supply a breaker with it. That way we're not going to overload our systems and the mounting hardware that you'll need to attach this up to your frame. Now this is part number LC298707. This is going to be, I think, ideal for more flat surfaces like this. We could get that mounted right in place just by opening a small hole, sliding it through and fastening it, and as you can see with that flat back, it's going to match up with that flat panel really well.Now, if you're going to be dealing with a corrugated exterior, such as this, we also have one that has a white switch with a hatch, so it'll be very similar to most doors on the outside of an RV, and with that system, think you could get these contours filled in using some butyl tape, and you wouldn't have to worry so much about water seeping in behind. The part number for that is LC369774.Now, while this is kind of an extreme example, you can see what we mean how our arms are designed to work independently. 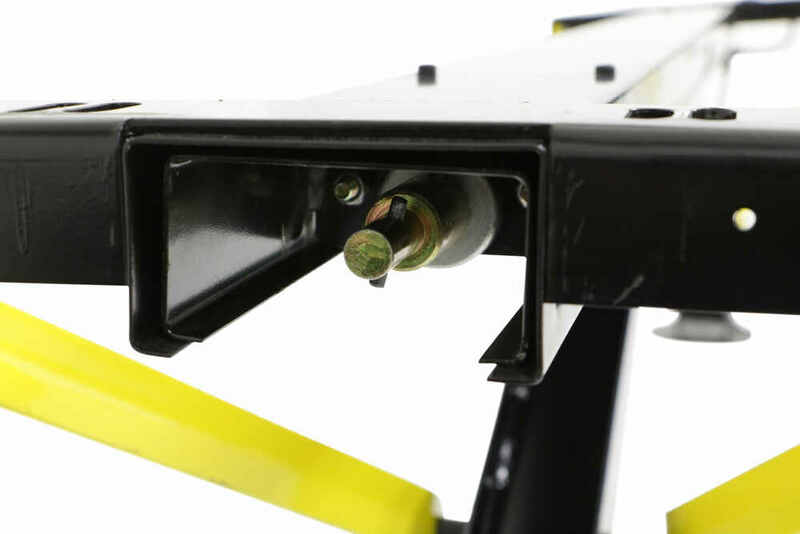 Once this is mounted to the frame of your trailer, these come down and make contact. They spread it out perfectly over both the left-hand and right-hand side, so you don't have to worry about going to one side into the other and then back over to the other.Now, there have been some really nice improvements made to the Power Stabilizer in the last few years. They still offer the nice sturdy steel construction. So, once we've got this mounted up to the frame of our trailer with the black powder coat finish, it's going to last a really, really long time. We also have the new embossed supports here on each side. They've got just a little bit of an angle built in them to give them a lot more structural rigidity.The motor is also going to be twice as fast as our typical stabilizing motors, so we're not going to have to spend so much time on setup. Now, with all that being said in how strong and sturdy that these are, they're much lighter than typical stabilizers out there. We're not going to be adding so much weight to the front and rear and our camper so don't have to worry about the excess stress on our vehicle.Now, something you really need to keep in mind with stabilizers such as this. These aren't designed for leveling your RV front to back or side to side. These are strictly used as a stabilizer. You still need to get your RV level, and we drop these down to reduce any movement that we feel inside. If you're looking for an all-in-one kind of a setup, the Lipper Ground Control System seems to be better at that. Whether it's going to be on a fifth wheel or you're going to be doing it on a bumper pull camper like this, they've got systems out there and available that'll allow you to both stabilize and level.Now, the closest competitor of the Power Stabilizer is from Ultra-Fab. That one uses two motors. You're going to have a motor on each side. That means we have independent control of each side, which this one also has. It's just going through one motor. With the two-motor setup, of course, you are going to have additional wires and additional switches to run. Also, everyone of the Lippert Components are going to have 30" of travels, whereas with the Ultra-Fab, you have to choose the right one for your application. Some of them are 18, 22, and then the highest model does offer the 30".Now, with most campers and fifth wheels out there, they share a pretty similar frame width. The Lippert Components model is going to be 68-11/16 from center of mounting location to center of mounting location. An area where the Ultra-Fab, I think, has an advantage over the Power Stabilizers that we're looking at here today are that these can be adjusted in and out slightly just by changing the bolt pattern in the middle. Those are going to work from 42" frame rails all the way up to 80.Here you can see the Power Stabilizer fully retracted. Now, the overall dimensions from the end of the motor to the end of the mount there are going to be 78", and it's going to be about 20" wide. The thing I really like about it though, from the top mounting surface to the very bottom, it's only 4-3/4", so we don't have like the old traditional big stabilizers hanging down there or the other stabilizer type might be a little bit bigger, hang down a little bit further. Gives us plenty of ground clearance underneath our trailer but still a lot of benefits. That's going to complete our look at the Lippert Components Line of High-Speed Stabilizer Jacks. 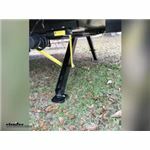 Order: RelevanceNewestRating - High to LowRating - Low to High Power Stabilizer Jacks are an affordable way to upgrade power leveling and easily bolt onto your existing frame. New motor is 2x faster than previous versions. Durable steel construction with a powder coat finish to resist corrosion. Unfortunately, its typically very difficult to determine which particular component parts an RV manufacturer will use on any given RV. In most cases, the manufacturer wouldnt even be able to tell us which stabilizer was used. Unlike cars and trucks, theres no easy reference or easily accessible parts list for an RV. Posting the review was my pleasure. I have used the product for the past year and I still rave about its performance. Its superior over the unit it replaced. And, etrailer made me happy with the purchase and delivery of the item. So, I remain a satisfied customer and Ill check back with etrailer for my future needs. Thank you for reaching out! What is the weight of your trailer? Is your trailer a jayco? My rear jacks are so close to the back tires and 5 off the ground. We are looking into the ultra-fab. Since the Lippert Components Power Stabilizer Jack # LC337199 is a direct replacement for your 337199 Lippert Jack it will be compatible with your current wiring. If you end up needing a new switch and breaker then you will need part # LC387874 for the switch and part # LC134181 for the 6 amp Auto Breaker. Both the Lippert Components High-Speed Power Stabilizer Jack, # LC369774, and Lippert Components Power Stabilizer Jack, # LC337199, will include the new electric motors installed on the units. There will be no need for installing your current motor on either of these stabilization jacks. 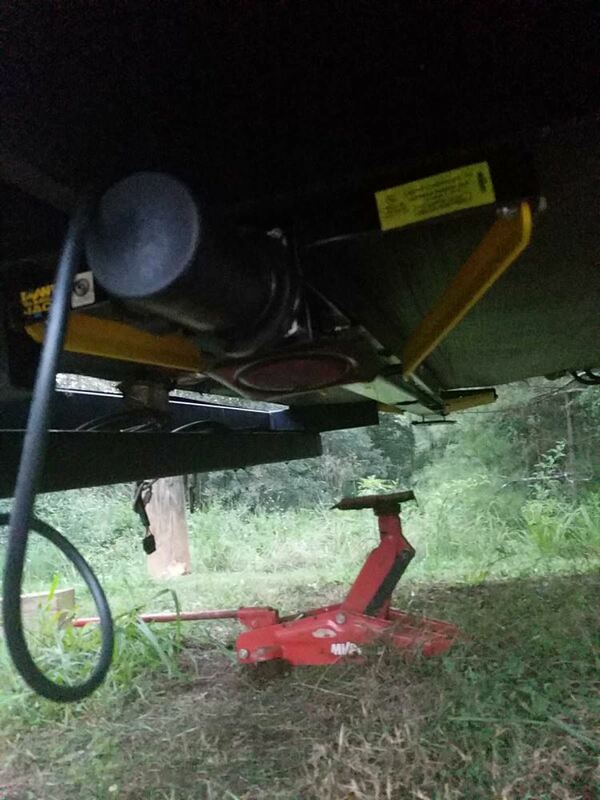 You made a great choice in the Lippert Components Power Stabilizer Trailer Jack. For starters, all of the jacks measure to be 70-1/2" long with a 3,500 lb weight capacity and have a 30" lift. The difference between them is in regards to what is included with them. The part # LC337199 doesn't come with a switch and part # LC298707 comes with a black switch. That is the only difference. The Lippert Components Power Stabilizer Trailer Jack # LC298707 that you referenced will work as a replacement for your 198641 stabilizer jack. If you use the Linc Analog Remote # LC292614 for your RV then this is compatible with that as well. The part # LC298707 comes with a switch, but if you don't need the switch then you can use part # LC337199 instead. It is the same jack, it just doesn't come with the switch. Does Lippert Stabilizer Jack LC337199 Work on 2014 Thor Chateau? Replacement motor # M1230 fits Ram brand landing gear # RVLG-8000 but not your Lippert Components Power Stabilizer Jack # LC337199. For a replacement motor for this stabilizer you will need Klauber motor part # LC352338. The replacement that you need is the Lippert Components Power Stabilizer Jack # LC337199. Some of our other options, like part # LC369774 that you referenced, is a kit, but the part # LC337199 is the basic jack that you will need. I spoke with my contact at Lippert who confirmed this. Lippert does not offer a schematic for the internal parts of electric stabilizer # LC337199. They do have a product components sheet but it is all the external parts. If it is the shaft on the motor that broke you would have to replace the motor. If the motor on yours is the C-800 Klauber motor the replacement is # LC138445. If it has the Lippert motor then the replacement is # LC352338 which they state is now 2 times faster than the original motor. To replace the motor on your Lippert High-Speed Power Stabilizer Jack # LC337199, you will just need the Lippert Stabilizer Jack Motor # LC352338. This is a direct replacement on your stabilizer jack and it will install just like the existing unit on the system. 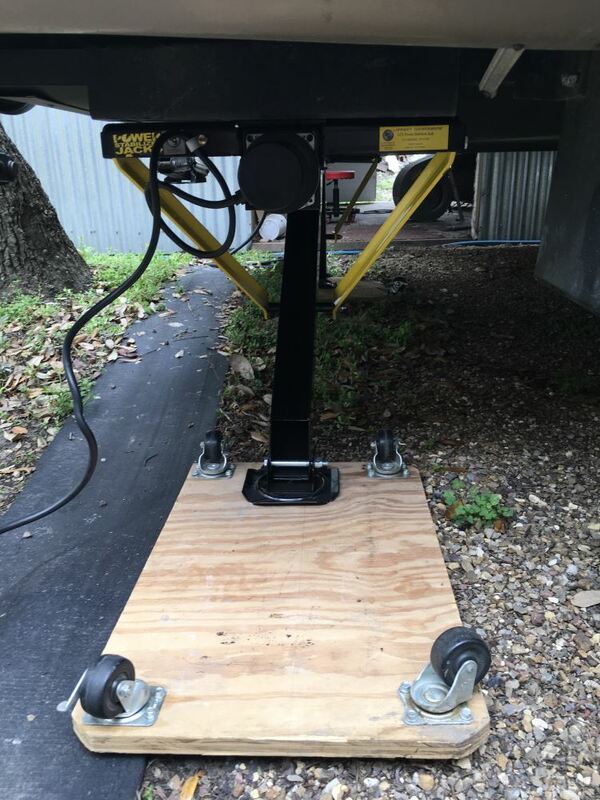 The Lippert Components High-Speed Power Stabilizer Jack - 30" Lift # LC337199 comes with the motor already attached and you can utilize the same wiring and switch already on your trailer. You don't need to replace the front jack to use this for the rear jack. This will be 2x as fast as the other version so it will move faster than your front jack. If you want them to move simultaneously then you will need to replace both or at least replace the other motor with # LC352338. The Lippert Stabilizer Jacks utilize the C-800 Replacement Klauber Motor for Standard Lippert Components Electric Stabilizer Jacks # LC138445. You can alternatively use the Replacement Electric RV Stabilizer Jack Motor for Lippert Components Landing Gear - Rear # LC352338 which will also fit and is supposed to be a faster motor. I checked with Lippert and replacement support arm # LC1134121 is a fit for your Lippert stabilizer jack model 113407. If you wanted to replace the entire kit the part # LC337199 would work well as a replacement. 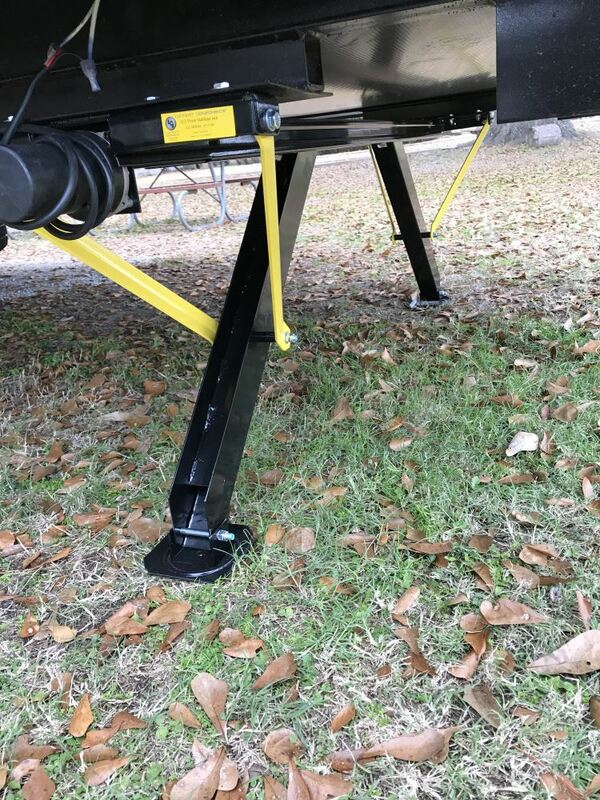 Yes, you can use the JT's Strong Arm Jack Stabilizer Travel Trailer Kit # LC191025 along with the High-Speed Power Stabilizer Jack # LC337199 as long as you also use the Adapter Kit # LC314597 to ensure that the jacks clear the bar. I have confirmed this with my contact at Lippert. To replace the switch on your Lippert Electric Stabilizer Jack 369777 (which has been replaced with the current model # LC298707), you will just need part # LC387874. This includes the switch and wiring harness so that you can get back to extending and retracting your jack. I have attached a short video demonstration that you can also check out. 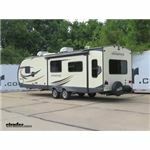 To replace your Lippert electric RV stabilizer I suggest their latest model # LC337199 which offers faster operation and lighter weight than many older models. This single-motor unit extends up to 30-inches and it should match the existing mounting holes on your RV that has a Lippert stabilizer installed. I checked Lippert's website for your part number but it showed no results. In terms of fit, the Lippert Components Power Stabilizer Jack # LC337199 requires mounting hole spacing (center to center) of 68-11/16". There isn't a useful photo showing the installation so I've added the install instructions for you to take a look at.